Edit: Nope, problem is back. Ticket on the way. Edited by 80_proof, Jan 12 2017 - 21:16. Well, I got a reply to my ticket, and the answer was, well, a little strange. Its almost like the guy who answered the ticket is unaware that there is a game launcher Beta test in progress? Either that or I messed up how I addressed the ticket. Is there some kind of special tag I'm supposed to put on the ticket so it goes to someone familiar with the Beta test? However after closing the error, ending the launcher task, and then opening the installer again, Program seemed to start as intended. Uninstalled the beta launcher and the old launcher for WoT or WoWarships are gone. Its making me re-download the game that i already have installed on this pc. After opening up the lancher things looked pretty good but when I went in to WoT to launch the game it started to download it. Not sure if that is something that is intended but is a bit frustrating to someone like me, I have poor internet where I live so it takes a long time for me to download a 11Gb game. My computer is an Alienware 17" gaming laptop, almost brand new, I dont think that is a problem. 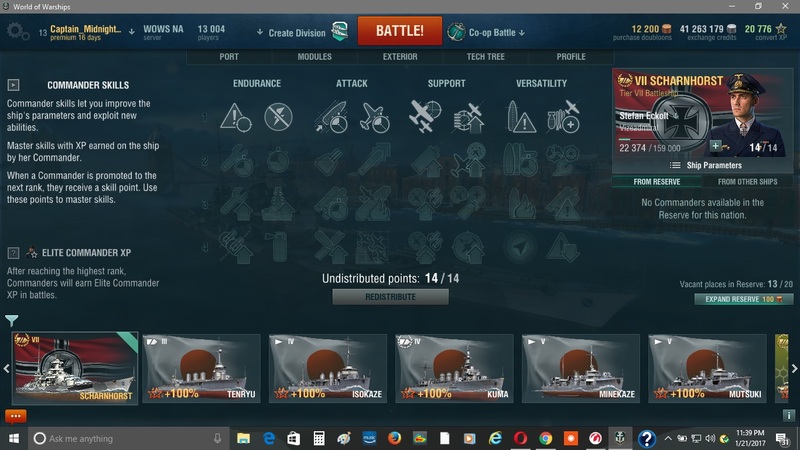 I've noticed that since I've been using the Wargaming Center launcher, all of my career points seem to be missing for all of my Captains. 1. I cannot provide reproduction steps. WGC failed to launch. After a system restart, WGC launches fine for a while then throws this error. 2. I looked at the log files in the C:\ProgramData\Wargaming.net\GameCenter\logs folder and in the system Event logs but there are no logs/events with the date/time stamp of the failed launch. 3. I have not reinstalled WGC yet but have restarted my system which fixed the problem for only a bit of time. after update 9.17.1 WOT my MAC freezes. It gets stuck at the "updating garage" load screen. Received the new update just now (17.00.00.1884) and opened WGC. There is a "dead" tile on the home page. It is not showing anything except the WG logo. Also, I noticed this several patches ago and just thought to report it now (sorry). When I click on the Feedback link it takes me to a survey page - http://surveys.wargaming.net/s3/EN - and not this forum. Is this by design? ​have you tried quitting and restarting the Launcher? Does it still display the same? should i try a WGC Reinstall? 3. Just play like normal, alt-tab a couple of times, then game becomes windowed. 4. Happens especially when a notification or another application (like chrome) is opened. Sorry to not get back in so long. I did a restart and relaunch but the tile was still dead. At some point a couple of days later the tile had information in it. I believe it was after a system restart but I can no longer reproduce this issue. I will check this forum more often - especially after submitting a "bug". Apologies. 1. The maximize button expands the page to its maximum height but not the width - which is what I expect (and witness) when I click "maximize" on other applications. I am running a widescreen monitor at 1920 x 1080. TBH, I don't find this an issue as much as it is not what I expected from the function. 2. One of the features mentioned in the Release Notes was for a "configurable time-to-live for game packages". I cannot find the configuration UI or any indication this feature is present. Can you provide some guidance? Edited by Khafni, Mar 10 2017 - 18:00. Received error dialog out of the blue when starting WGC - "Wargaming.net Game Center cannot recover form an error. Please reinstall from support center." I had been using WGC regularly without fail since 0.6.2.1. Today, on the second time I opened it, it wouldn't launch. I restarted the PC and it opened. This is identical to my post #47 above except there is no link to support in the dialog. I tried to capture logs this time. 2. Error dialog opens, WGC doesn't. 27171536I:Out-of-process registration of assert handler succeeded. I did not have an instance running but there may have been some background process I didn't see. The updater is running. I will attempt to check this out should it occur again.  2017-03-27T17:14:14 - | 2 | th(0x00000F14) | pid(0x00000F10) | At the service! 2017-03-27T17:14:14 - | 2 | th(0x00000FE4) | pid(0x00000F10) | 1 files were removed. 2017-03-27T17:14:14 - | 2 | th(0x00000FE4) | pid(0x00000F10) | No dump files were found. 2017-03-27T17:14:14 - | 2 | th(0x00000FE4) | pid(0x00000F10) | No report files were found. 2017-03-27T17:14:14 - | 2 | th(0x00000FE4) | pid(0x00000F10) | No files to remove were found. Thank you for the information, this does seem like something was still running in the background. Had you used it earlier that day? Yes I had used it about 2 hours earlier but had shut it down (or so I thought) by clicking on the X in the upper right corner. I just now re-launched WGC with no problem. I can't reproduce this at will but will watch for it again and check the running processes. Is there anything specific I should be looking for other than these processes? Also, when I start WGC after a clean boot both of the above processes load. When I close the WGC interface by clicking on the red X neither process stops but the UI closes. When I exit the GameCenter in the system tray both processes stop. WargamingGameUpdater.exe is also running but that is for PT updates and has not been affected by actions on the WGC. Could it be influencing WGC behavior?